Njabulo Ndaba, head of IT for trading and regulation in the IT division at JSE. The Johannesburg Stock Exchange (JSE) is focusing on integrating its trading platform, as well as investing in some cutting-edge technologies this year. This is according to Njabulo Ndaba, head of IT for trading and regulation in the information technology division at the JSE, in an interview with ITWeb. The JSE's market capitalisation is $1.11 trillion adjusted US dollars as of March 2018, according to Stock Market Clock, which points out the JSE is the 17th largest exchange out of the 79 stock exchanges it tracks. Last month, the JSE, together with National Treasury, and a multi-stakeholder group consisting of Strate, the Financial Sector Conduct Authority and the banking institutions servicing primary dealers, officially launched an electronic trading platform for government bonds at the JSE. "Our focus for the second half of 2018 remains on projects designed to strengthen the delivery of the JSE's strategic vision, so we will be launching more cutting-edge technology solutions," says Ndaba. "There has been a significant investment to get our platform to be more integrated." To ensure the smooth running of the JSE trading platform, Ndaba says the bourse uses MilleniumIT a trading system that runs the core and critical trading components of the business. He notes that MillenniumIT's systems are widely used by leading stock exchanges around the world, including the London Stock Exchange, Borsa Italiana, Oslo Bors, Turquoise, the London Metal Exchange and a series of emerging market exchanges. "This means the JSE is on par with global operating standards, using solid, stable and robust technology, which, when supplemented by our internal checks, gives us a competitive-edge to provide our clients with a seamless trading experience. "We also recently celebrated 365 days of no trading downtime on the system, which goes to show that good proven technology, supplemented by rigorous internal health checks, enable us to continue delivering a world-class trading experience to our clients." In an effort to phase out the current clearing technology in support of the JSE's strategic focus on integrated clearing and settlement, the exchange will launch the Integrated Trading and Clearing (ITac) project later this year, says Ndaba. "We aim to introduce world?class, multi?product solutions to enhance the JSE's current trading and clearing functions. Once complete, the ITaC project will provide clients with robust trading and clearing technology and introduce more sophisticated trading and risk management functionality, enabling us over time to reduce the cost of transacting in those markets." 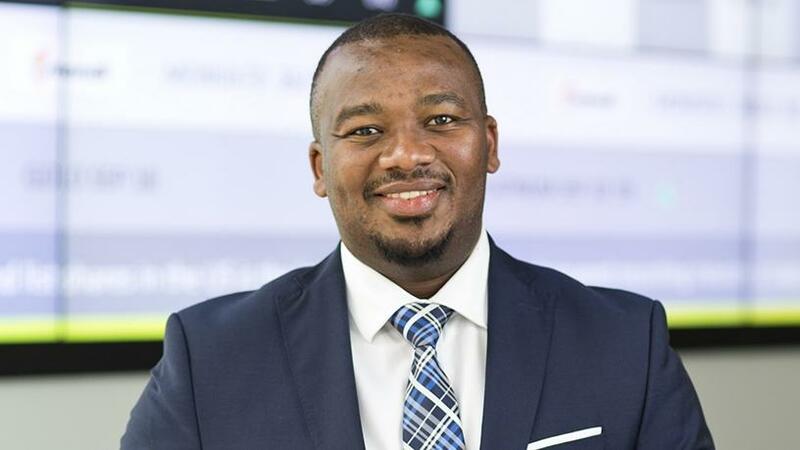 Ndaba adds that the electronic trading platform for government bonds pilot went live on 18 July, with the full spectrum of bonds being phased in and all nine primary dealers having commenced trading on the platform on 22 August. "The new platform provides the benefits of a world-class operating environment, transparency, price discovery and settlement assurance to allow issuers to transact anonymously both pre-trade and post-trade; the end result of which will be more price discovery and lower transaction costs," he says. More than R2 trillion in government bonds is currently listed on the JSE's Debt Board and these instruments account for over 90% of all debt market liquidity reported to the JSE. "I currently head up the IT trading and regulation division at the JSE, a role which I find to be quite challenging but exciting. "Each day is different in the trading and regulation space because things change based on how the market behaves; this can influence how one's day plays out. It is an interesting role which requires attention to detail and focus to ensure consistent delivery but one which I thoroughly enjoy as all my experience has prepared me for the challenge," Ndaba notes. "It's been a challenging year from an IT perspective but the various teams that I work with continue to make it a great experience as they continuously demonstrate great collaboration and team work, while working on delivering the most sophisticated projects that give our clients a seamless trading experience."